1Conquest % Cash Back. Stackable % Cash Back for customers who have owned or leased a 2005 or newer Non-GM Vehicle for a minimum of 30 days. Allowance Available on Retail Program info. Compatible with % Off and % Conquest Private Offer ONLY. All Programs Effective Until 4/30/2019 Unless Otherwise Indicated. 2Excludes base models. Monthly payment is $16.67 for every $1,000 you finance. Example down payment: 19.9%. Must finance with GM Financial. Some customers may not qualify. Not available with lease and some other offers. Take new retail delivery by 4/30/2019. See dealer for details. 3Must finance through GM Financial. Not available with leases and some other offers. Take delivery by 04-30-2019. See dealer for details. 4Not available with some other offers. Take delivery by 04-30-2019. 1Not available with special financing, lease and some other offers. See dealer for details. 2Conquest % Cash Back. Stackable % Cash Back for customers who have owned or leased a 2005 or newer Non-GM Vehicle for a minimum of 30 days. Allowance Available on Retail Program info. Compatible with % Off and % Conquest Private Offer ONLY. All Programs Effective Until 4/30/2019 Unless Otherwise Indicated. 3Not available with special financing, lease and some other offers. See dealer for details. 4Must finance through GM Financial. Not available with leases and some other offers. Take delivery by 04-30-2019. See dealer for details. 5Excludes base models. Monthly payment is $16.67 for every $1,000 you finance. Example down payment: 19.9%. Must finance with GM Financial. Some customers may not qualify. Not available with lease and some other offers. Take new retail delivery by 4/30/2019. See dealer for details. 6Not available with some other offers. Take delivery by 04-30-2019. 1Not available with special financing, lease and some other offers. See dealer for details. 2Conquest % Cash Back. Stackable % Cash Back for customers who have owned or leased a 2005 or newer Non-GM Vehicle for a minimum of 30 days. Allowance Available on Retail Program info. Compatible with % Off and % Conquest Private Offer ONLY. All Programs Effective Until 4/30/2019 Unless Otherwise Indicated. 3Not available with special financing, lease and some other offers. See dealer for details. 4Must finance through GM Financial. Not available with leases and some other offers. Take delivery by 04-30-2019. See dealer for details. 5Not available with some other offers. Take delivery by 04-30-2019. 6Excludes base models. Monthly payment is $16.67 for every $1,000 you finance. Example down payment: 19.9%. Must finance with GM Financial. Some customers may not qualify. Not available with lease and some other offers. Take new retail delivery by 4/30/2019. See dealer for details. Why do so many Pittsburg drivers prefer the Colorado to other SUV? The Chevy Colorado is a reliable truck with a lot of power. This truck can carry up to 7,700lbs. and is equipped with up to 308hp, so be confident it can tackle tough jobs. You will be connected and enjoy a comfortable ride with built-in Wi-Fi and an interior designed for reduced noise and vibration. It also has excellent fuel economy for a truck, saving you at the pump. 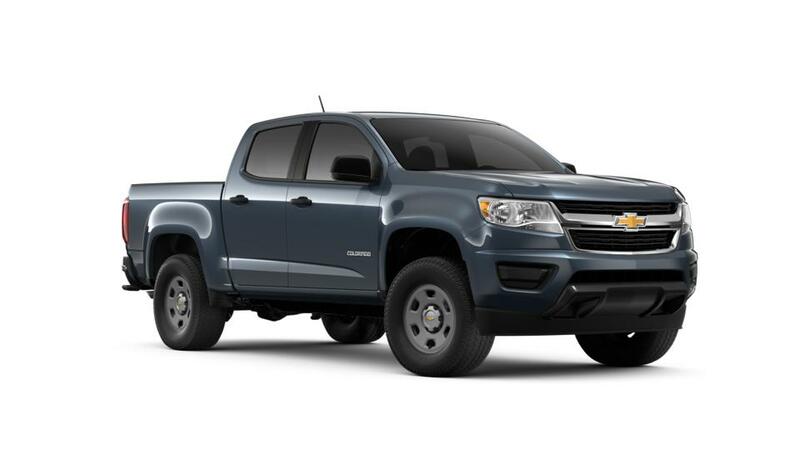 Browse our inventory of new Chevrolet Colorado in Pittsburg to pick the color and trim you're looking for. For additional info on a Colorado test drive, contact us at (925) 526-6071.